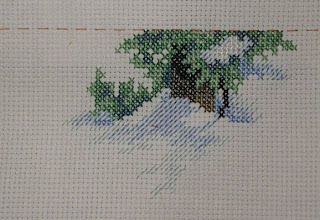 The snowman is finished, I cut the fabric too short, so I had to modify the snowman, he is 40 rows shorter than in the chart. I don't think he is out of proportions, though. 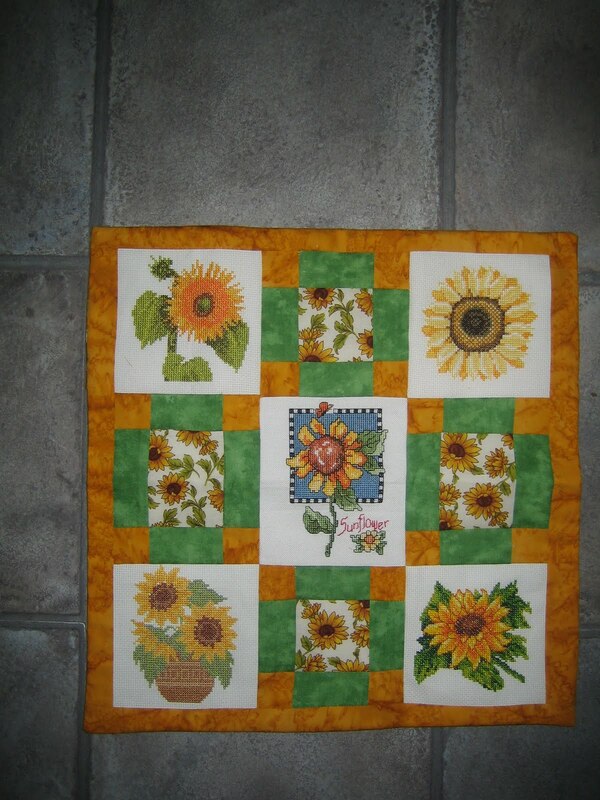 The cushioncover of the sunflowers is ready, I think it came out beutiful. Those Regenboog cushions are so nice to give to people who need them. The first part of the two banners are ready, except for the backstitch. The first one is a mystery Christmas banner, the second is a chart called 'our readingroom'. 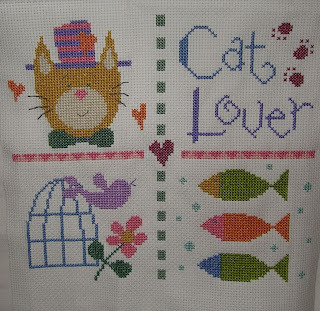 I also finished the Lizzie Kate chart for this month. 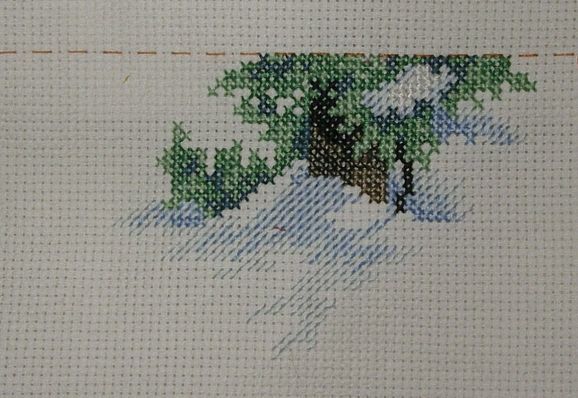 So all of my cross stitch projects are finished, nothing done though on patchwork or quilting. 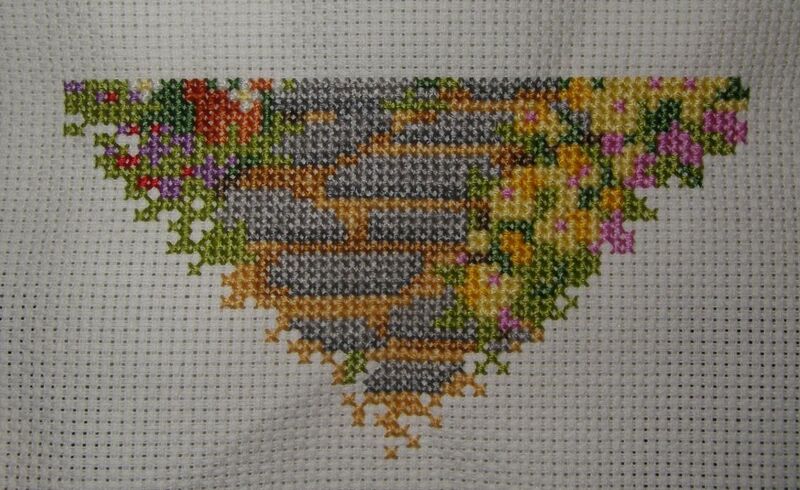 On saturday is the appliqué workshop, if will involve hearts, I'm looking forward to it. It is a short one with the very basics, but knowing the teacher it will be tough enough to tackle. Two finishes to show this time. 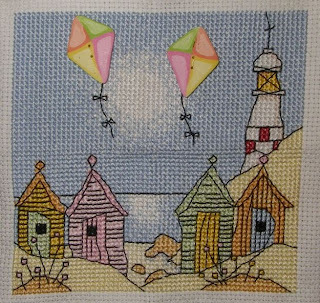 First there is the kit 'Kites' from Michael Powell. 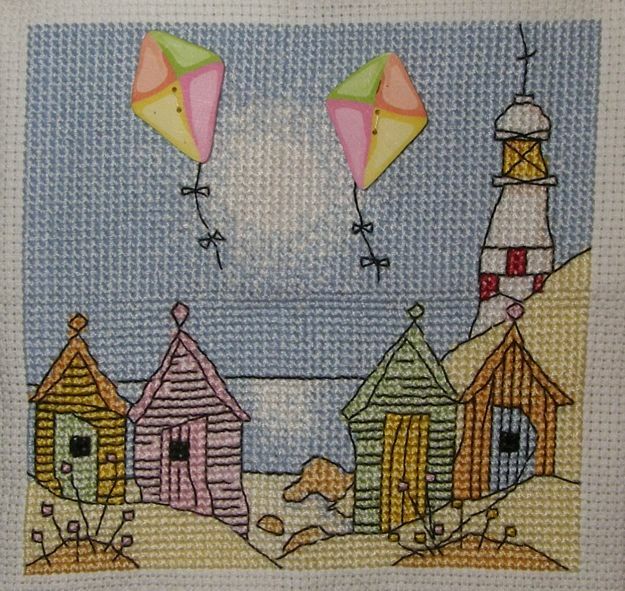 The cross stitching is done, the Kite buttons are temporarily atatched for the picture. 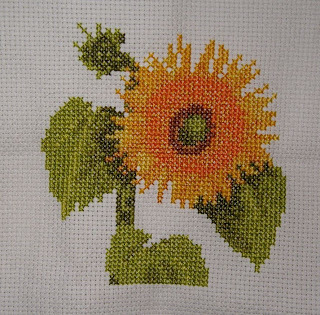 I'm going to search through my fabrics for a nice one to match with the stitching, so it will be a sunny wallhanging above my desk. The second one is a sunflower, for the Regenboogkussens charity. 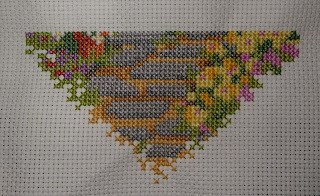 The receiver of the cushion has the same type of cancer as my late hubby, I just had to stitch my part of it. The snowman of the SAL I love snowmen is nearly finished. So I will have time to start to stitch on the next ones, there are two banners waiting and the 2nd part of the Lizzy Kate SAL. 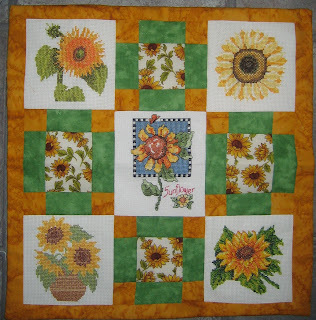 End of the month is my appliqué workshop, I'm looking forward to it. And I'm doing 4 aquarel workshops this month. They are subsidized by our local government and really fun t do. The teacher gives us free hand and all the advice we want. I hope to place some pics the next time. 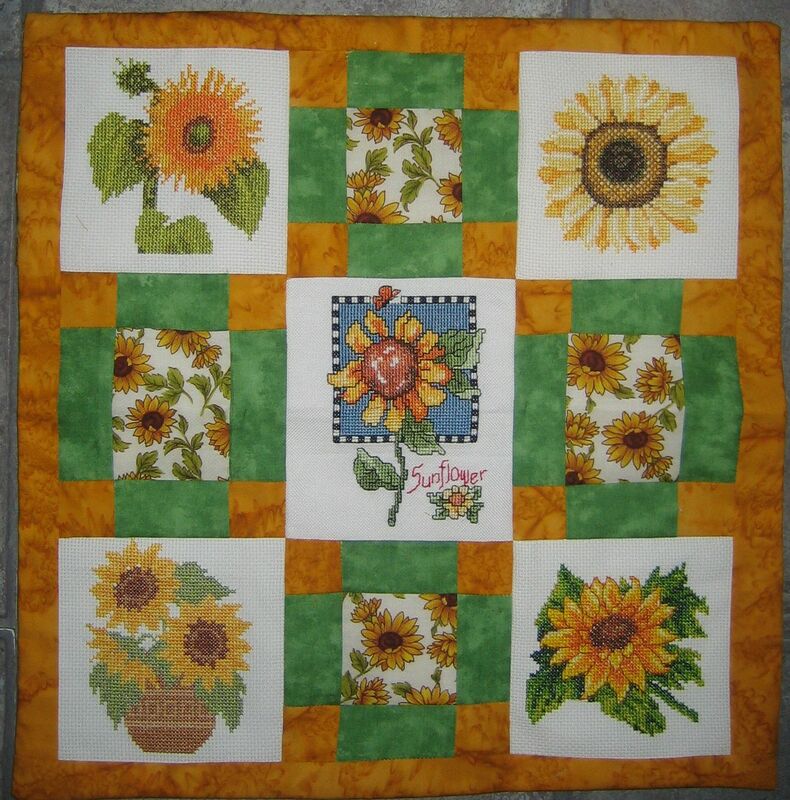 The weather is sunny and warm lately, tomorrow is another day to rince fabric, yippee!! !